As the only company focused exclusively on Thermal Transfer Overprinting, FlexPackPRO is uniquely capable of integrating this superior printing and coding technology into the broadest number of applications. The Challenge: A popular powdered mix company was producing some of the country’s finest drink and baking mixes, but had been receiving complaints about the inferior quality of the product identification on each bag. Unfortunately, the company had originally outfitted its VFFS baggers with in-line inkjet coders, which simply were not up to the task. Messy to maintain and fill, the inkjet units were producing inconsistent, blurry and sometimes completely illegible words and numbers…not the image the well-established company wanted to promote to its customers. They needed a superior variable imaging solution, and they needed it quick and within a budget. We determined that the cost-effective FlexPackPRO® 130 Series TTO was the clear choice, and within a few weeks the inferior printers were removed and all lines were refitted with custom brackets and FPP 130i units. Now they’re generating perfect 300 dpi resolution product information on every bag. A delicious solution indeed! FlexPackPRO’s team of mounting and installation engineers can fit almost any of your existing Form, Fill, Seal machines – regardless of age – with a state-of-the-art FlexPackPRO® brand Thermal Transfer Overprinter. In this case study, a leading fresh coffee producer in business since 1968 wanted to utilize an older VFFS machine to handle additional product for an important retail client. Regulations required a high-resolution production date and expiration date on each bag, but the decades-old machine was never expected to marry with a sophisticated digital date coder like FlexPackPRO®. After FPP’s regional representative visited the plant, we were confident we could do it – and the results have been outstanding, saving the customer from buying an extremely expensive new VFFS bagger in the process! Upgrade from an old Markem or Videojet TTO using existing brackets! When a major poultry packer was having continuous problems with a well-known competitor’s thermal transfer overprinters, they were given an ultimatum – trade up to the extremely expensive new premium model or lose service and support for the old models already installed. That was about a $100,000 ultimatum, so they reached out to their FlexPackPRO® distributor for a better solution. After a site visit, the team determined that we could use our proprietary adaptor kit to utilize the previous supplier’s in-line brackets to mount new high-performance FlexPackPRO® 210 Series TTOs. This had the dual benefit of saving roughly $1,000 per line for new brackets and at least one extra day of installation fees. But most importantly, the customer was able to save 40% off the cost of the equivalent “leading brand” TTO while getting a more rugged, reliable thermal transfer coding system. FlexPackPRO stands behind every TTO with a comprehensive 18-Month Warranty. 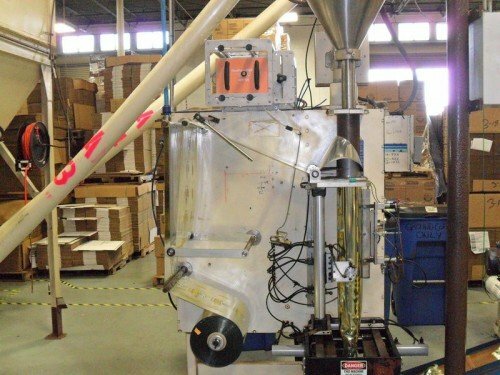 One of the world’s largest bakery products companies was expanding their U.S. facility and needed a fast, high-resolution coding solution for their new horizontal flow wrapper. After determining that the FlexPackPRO 210c high-speed continuous thermal transfer overprinter met all of the application’s performance requirements, it came down to price. They’d already received a quote from their current TTO supplier – the industry’s largest coding equipment manufacturer – and were stunned when our premium TTO system came in at a 42% lower price point. Coupled with the extraordinary personal attention they’d received from FlexPackPRO’s regional distributor, the savings made it an easy decision for this well-known international baker. 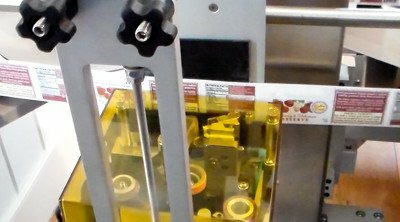 A young specialty preserves maker from Vermont was growing fast and needed to begin automating their jar labeling process. 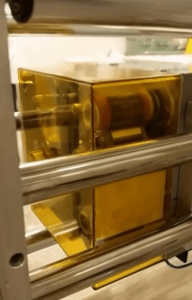 They found the perfect wrap-around label applicator system, but was at a loss when it came to choosing the right high-resolution coder for printing batch codes and expiration dates on their prime labels. The company’s high quality image demanded the best variable print quality, so thermal transfer printing was the clear choice. However, the labels were heavily pre-printed and not very “thermal transfer compatible”. Traditional thermal printers, which utilize “flat” printhead technology, would not create solid codes on the challenging labels. 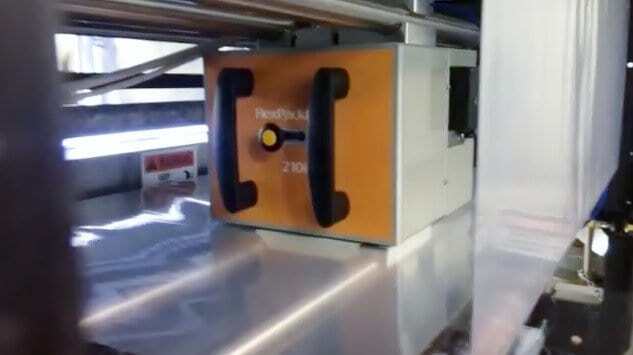 FlexPackPRO’s compact 130 Series TTO however – which employs superior 300 dpi “near edge” printhead technology – had no problem mounting to the label applicator and producing the clear, bold images required.